Bracelet -to- Necklace Upgrade. Charm Necklace Upgrade. Custom Alter a Charm Bracelet into a Necklace. Initial Charm. Script Letter Charm. Alphabet Charm. Add-On Charm for Charm Bracelets. Personalized Charm. Silver Plated Charm. Pearl Charms. Fresh Water Pearl Dangle Charms. Add-On Charms for Charm Bracelets. Silver Plated Charms. Freshwater Pearl Charms. Teardrop Charms. Wire Wrapped Teardrop Add-On Charms for Charm Bracelets. Silver Plated Charms. Glass Teardrop Charms. Bracelet Size Upgrade. Ankle Bracelet. Plus Size Bracelet. Anklet Charm. Announcement If you would like something custom made just for you, or a bracelet theme added that I haven't made yet, just ask! Subscribe to my e-mail newsletter at http://eepurl.com/LAO5 (sent out 10x a year) to be kept up-to-date about upcoming sales, special deals, coupons and discounts as well as giveways and more! If you would like something custom made just for you, or a bracelet theme added that I haven't made yet, just ask! Just the Chain. Silver Plated Charm Bracelet Chain. Build Your Own Bracelet. Silver Bracelet Chain with Lobster Clasp. Sagittarius Necklace. Horoscope Necklace. Sagittarius Charm Necklace. Silver Necklace. Zodiac Necklace. Sun Sign Jewelry. Handmade Necklace. Serenity Prayer Necklace. Christian Necklace. Serenity Necklace. Catholic Charm Necklace. Christian Jewelry. Religious Necklace. Mom Charm. Add-On Charm for Charm Bracelets. Mother Charm. Silver Plated Charm. Little Women Bracelet. Louisa May Alcott Charm Bracelet. Book Lover Bracelet. Classic Book Bracelet. Silver Bracelet. Handmade Jewelry. Enchanted Sea Bracelet. Blue Ocean Bracelet. Sea Life Charm Bracelet. Fish Bracelet. Seahorse Bracelet. Silver Bracelet. Handmade Jewelry. Thank You Charm. Thanks Charm. Double Sided Charm. Add-On Charm for Bracelet Charm or Necklace Charm. Silver Plated Charm. 12mm Charm. Shoes Bracelet. Shoe Lover Charm Bracelet. Footwear Bracelet. Shoe Collector (Shoe Whore) Bracelet. Silver Bracelet. Handmade Jewelry. Our Lady of Prompt Succor Bracelet. Catholic Bracelet. Charm Bracelet. Christian Jewelry. Religious Bracelet. Handmade Jewelry. Cobalt Blue Cross Necklace. Christian Necklace. Royal Blue Enamel Crucifix Necklace. Silver Necklace. Christian Jewelry. Handmade Jewelry. Saint Vincent de Paul Bracelet. Catholic Bracelet. St Vincent de Paul Charm Bracelet. Catholic Jewelry. Religious Jewelry. Angel Bracelet. My Special Angel Charm Bracelet. Angel Jewelry. Silver Bracelet. Christian Jewelry. Handmade Bracelet. Saint Espedito Bracelet. Christian Bracelet. St Espedito Catholic Charm Bracelet. Christian Jewelry. Religious Bracelet. Handmade Jewelry. Dog Breed Charms. Dog Charm. Add-On Charm for Bracelet Charm or Necklace Charm. Christian Charm. Silver Plated Charm. 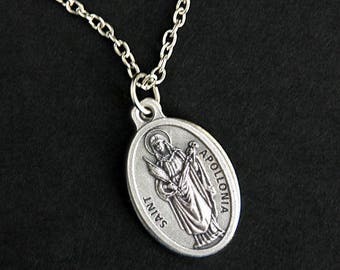 Saint Apollonia Necklace. Catholic Necklace. St Apollonia Medal Necklace. Patron Saint Necklace. Catholic Jewelry. Religious Necklace. Monkey Bracelet. Monkey Business Charm Bracelet. Not My Monkeys Bracelet. Monkey Lover Animal Bracelet. Silver Bracelet. Handmade Jewelry. Caridad del Cobre Bracelet. Catholic Bracelet. Our Lady of Charity Bracelet. Catholic Jewelry. Mary Bracelet. Religious Bracelet. African Safari Bracelet. Wildlife Charm Bracelet. African Bracelet. African Wildlife Bracelet. Silver Charm Bracelet. Handmade Jewelry. Saint Gerard Necklace. Catholic Saint Necklace. St Gerard Medal Necklace. Patron Saint Necklace. Christian Jewelry. Religious Necklace. Saint Lucy Necklace. Catholic Saint Necklace. St Lucy Medal Necklace. Patron Saint Charm Necklace. Christian Jewelry. Religious Necklace. Pagan Bracelet. Earth Religion Charm Bracelet. Wicca Bracelet. Paganism Bracelet. Wiccan Bracelet. Silver Bracelet. Handmade Jewelry. Saint Monica Necklace. Christian Necklace. St Monica Medal Necklace. Patron Saint Necklace. Catholic Jewelry. Religious Necklace. Just the Chain. Silver Plated Necklace Chain. Build Your Own Charm Necklace. Silver Necklace Chain with Lobster Clasp. Replacement Chain. Love my Texas charm bracelet. In the process of making charms for upcoming Solar System bracelets, and Pride & Prejudice bracelets. Owl Bracelet. Owl Lover Charm Bracelet. Colorful Owls Bracelet. Owl Jewelry. Bird Jewelry. Silver Charm Bracelet. Handmade Jewelry. Vet Bracelet. Animal Doctor Charm Bracelet. Veterinarian Bracelet. Veterinary Medicine Bracelet. Silver Bracelet. Handmade Bracelet. Quilting Bracelet. Quilting Charm Bracelet. Craft Bracelet. Silver Bracelet. Quilting Jewelry. Handmade Jewelry. Working on a craft themed "Knitting Diva" bracelet. A "True Crime" and "Murder Mystery" themed bracelet. An "Alice's Adventures in Wonderland" bracelet. Turn any of my bracelets into a necklace. The colors that surround us us add an extra level of beauty and richness to every day of our lives. Sometimes color isn't just seen but experienced through all the senses and even the emotions. When I first started designing jewelry over 20 years ago, I was really inspired by and attracted to colors, and it bloomed into a love of beads, then a love for charms, and so many more things. Each piece offered in this shop is designed by me and assembled with my own two hands. With over twenty years of experience in jewelry design to back each piece, you can rest assured you're receiving top-quality craftsmanship backed by a loving attention to detail. .●▬▬▬▬ Custom requests are Welcome! ▬▬▬▬●. Artisan jewelry designer with a passion for creativity. Custom requests and suggestions for new bracelet themes are welcome! Just contact me with your thoughts and ideas. All coupon codes and discount codes must be applied to your order at check-out or they are not valid for use. Gathering Charms will not apply coupons and discounts retroactively (i.e., after your transaction is complete and your order has shipped).